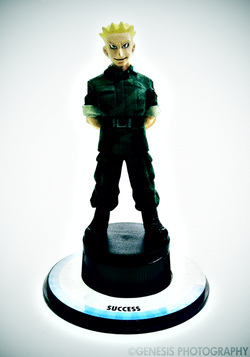 The third set of TFG figures was supposed to be released after Groundbreakers. It is still unnamed as of the moment and will probably remain that way. Everybody thought that this set will never get released until early this year when these figures suddenly appeared in eBay. 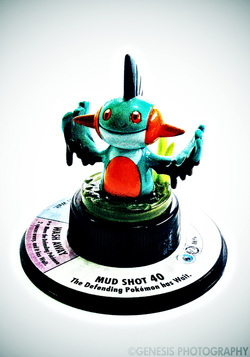 First thought to be bootlegs by Pokemon collectors, they have now finally came to a conclusion that these are official products due to the detail and quality on these figures that are also present in past sets. 'Mystery' is just a name I use to refer to it because of its enigmatic source. There are also 42 figures in total with 3 promotional figures. Like the Groundbreakers set, due to being unofficially released the figures don't have any rarity symbols on them. A lot of the figures here have more back story than the other figures because it wasn't easy finding them. They are also the reason I joined communities such as PKMNCollectors and PokeGym. 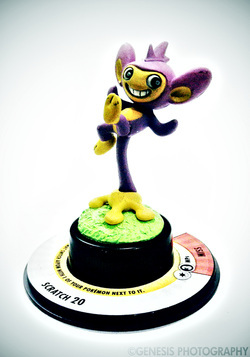 With the help of other collectors, the missing figures have finally been identified and they are Minun, Sneasel and Tyrogue. Any info as to where they can be acquired would be really really helpful. Notes : The first Aipom I found has the paint on the tail chipping off so I had to pass. I finally found an okay one but it seems that most Aipoms have problems on their tail. 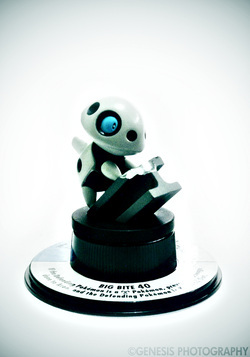 Notes : Aron is one of the figures bought in a group together with most of the Mystery figures. 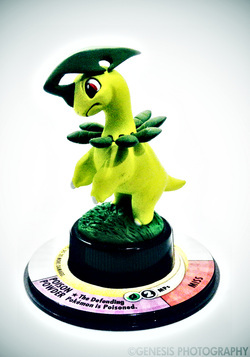 Notes : I had already seen pictures of Bayleef in the Internet in sites such as PokeGym and PKMNCollectors. When I actually saw one in a store, it was pretty hard to believe. But the detail and quality made me buy it despite of the lingering thought that they are bootlegs. 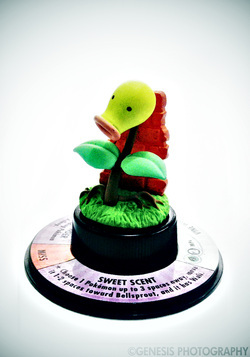 Notes : Bellsprout was received from mariahpixie of PKMNCollectors and took quite a while to arrive. But I'm just thankful it made its way here safely. 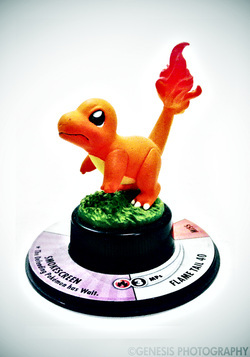 Notes : Charmander was bought from sorcererhuntress of PKMNCollectors. Back then I was praying it won't get bought because I'm still waiting for the activation of my PayPal account. Good thing I made it in time. 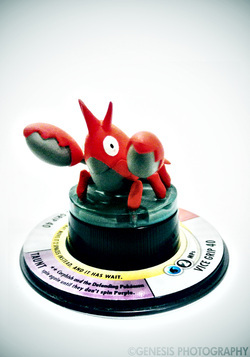 Notes : Corphish is one of the latest figures I received from the third set. It was bought from eBay from a lot of TFG figures. I'm thankful the seller allowed me to buy only the figures I needed. I then had to trade my first Corphish to white_chocobo. I got another one but was somewhat unsatisfied with a broken part in one of his legs. Good thing the Corphish I bought from eBay which I thought was lost finally arrived. Notes : Croconaw was bought from mamath of pkmncollectors along with other items I traded with her. It was the first buy and trade I did in PKMNCollectors. 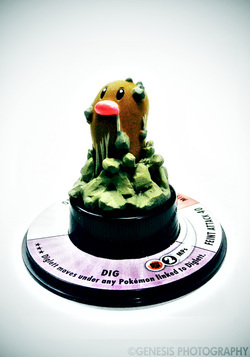 Notes : Diglett is my very first TFG from the third set. Before I saw it in a store I actually saw a picture of it on the Internet but because of the fact they were discontinued I had doubt of its legitimacy. Though unsure, I still bought it along with others because it is really detailed and amazing just as a real TFG would look like. 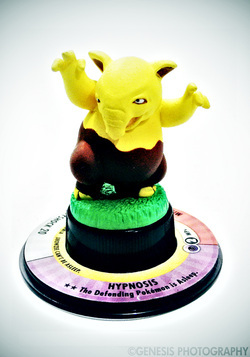 Notes : Drowzee is one of the latest figures I received from the third set. It was bought from eBay from a lot of TFG figures. I'm thankful the seller allowed me to buy only the figures I needed. 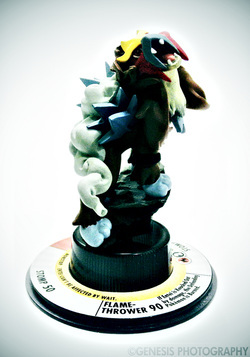 Notes : Entei, along with the two other legendary beasts, was a grail for a short time. It was found in eBay Philippines along with other rare Mystery figures and was bought for a low price. It was obtained with Raikou and Suicune along with a big group of Mystery figures after reserving them from a local toy store. 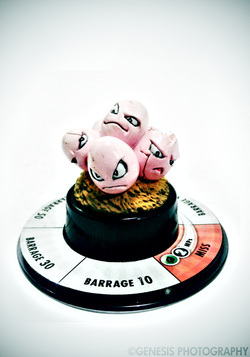 Notes : Exeggcute was included in the first big buy of Mystery figures from a local toy store. 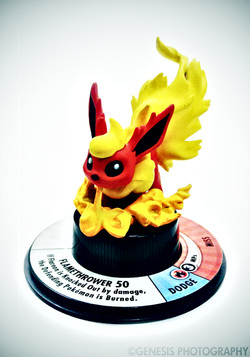 Notes : Flareon was the hardest figure to get for me. I lost two auctions before. When I actually got a chance to buy one from caffwin of PKMNCollectors it took a VERY long time to get here and I even thought it was lost in the mail. I'm just happy it finally arrived here safe and sound. 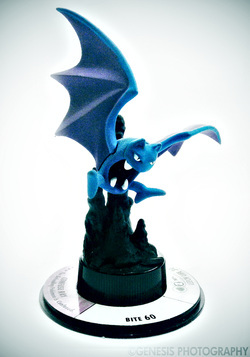 Notes : I had already seen pictures of Golbat in the Internet in sites such as PokeGym and pkmncollectors. When I actually saw one in a store, it was pretty hard to believe. But the detail and quality made me buy it despite of the lingering thought that they are bootlegs. Notes : After buying my first couple of trading figures from the third set, I looked around in a mall to see if I can still spot any. As luck would have it, I chanced upon another shop that sells a few figures and Goldeen was one of them. 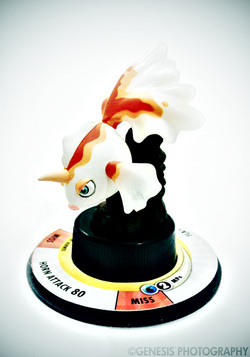 I consider getting Goldeen a lucky buy since I never found another again. 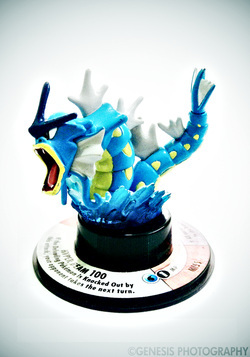 Notes : Gyarados was obtained along with other figures from the third set when it was bought from a local store that has lots of them. 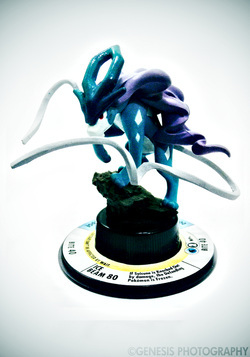 Notes : The first time I saw Haunter, I only saw its base and its hands on the wall being sold in a store in the mall. 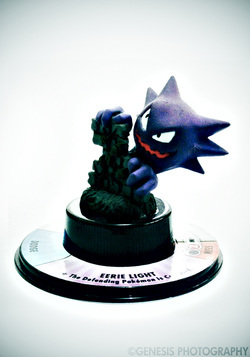 When I actually obtained it, it led me to believe that these figures really are authentic because of Haunter's special ability indicated at the bottom of the base. I didn't think any bootleggers will go as far as producing an almost authentic sticker with attacks that go well with the game. 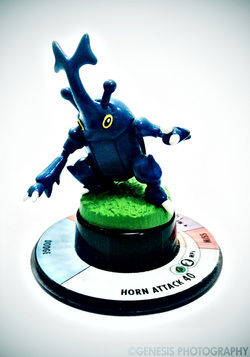 Notes : Heracross was one of the first Mystery figures bought together with Bayleef and Diglett. It was actually one of my first favorites in the set. 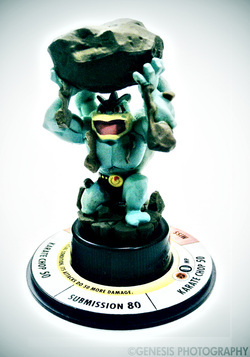 Notes : Machamp is one of the more dynamic figures in the set. It was obtained from large group of Mystery figures that was bought from a local store. Notes : Magnemite was received from another trade with waynegg of PokeGym. 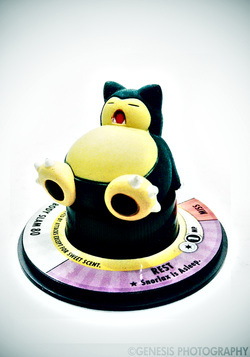 He already offered Magnemite before in our first trade but I thought I'd be able to easily find one so I opted for a Giratina pre-order figure. 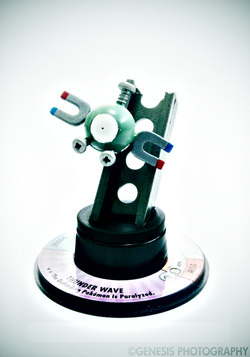 Magnemite was the hardest figure to obtain for me to date as I missed several chances including a bid war in eBay with mamath without us knowing. Notes : The latest third set figure I acquired. Marshtomp was from a trade with waynegg of PokeGym. Really hard to find one and finally it now belongs with the other Mystery figures. 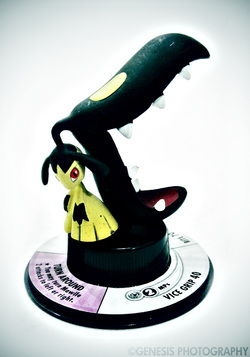 Notes : Mawile is another favorite from the set. It was acquired together with a lot of other figures from the third set when I bought a set from a store that sells them. 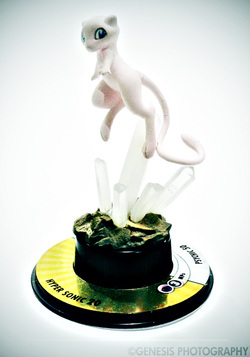 Notes : Mew is one of the exclusive TFG found in our country and as such I've been able to negotiate many trades and auctions with it. It helped me get a lot of the figures I have now. 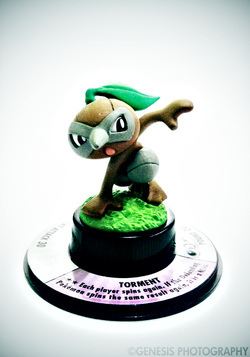 Notes : Nuzleaf is just one of the figures bought together with the other ones when I bought a lot of them from a local toy store. 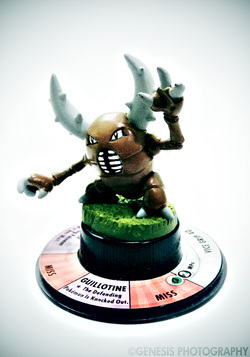 Notes : Pinsir was one of the initial Mustery figures in the collection. At first I thought I wouldn't buy it since it didn't seem as good as the others but then decided that I would collect all of them. 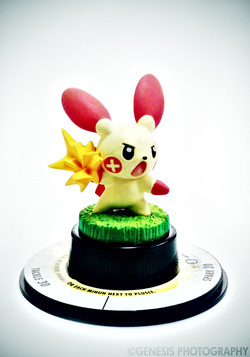 Notes : Plusle is my pride and joy. I accidentally found him while buying a lot of figures in the store where I buy trading figures. The store owner actually has it on his hand while browsing through figures to offer me and I asked if I could buy it and thankfully he said yes. 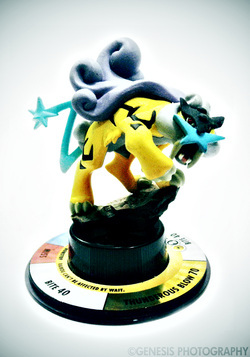 Notes : Raikou, together with Entei and Suicune, are the first grails for this set. They were finally obtained after reserving a set in local store that also has an ebay Philippines account. 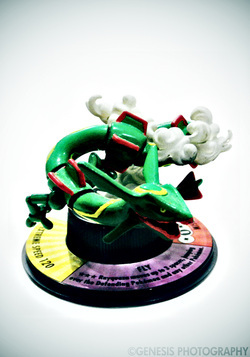 Notes : Rayquaza was won in an eBay auction and one of the first I won. I lost some figures too though. Notes : I already knew there was a Seviper figure in the set after seeing one with only half of its body intact in a local store. 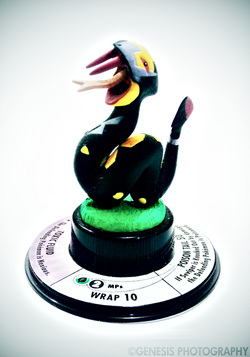 Seviper is one of the more common figures in the set. Notes : Snorlax was bought from mamath of PKMNCollectors along with other items I traded with her. It was the first buy and trade I did in pkmncollectors. Notes : Suicune and the other legendary beasts Entei and Raikou were bought from a seller in eBay Philippines. It turns out that they have a shop where I was able to find other figures from the set. Notes : Taillow not being too common was my initial thought when I saw the figure. 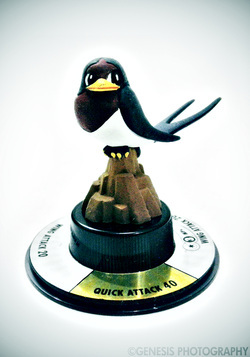 I've only seen a handful of Taillow figures around. 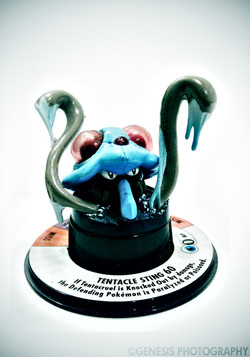 Notes : Tentacruel is one of my favorites in the set. It was included in the first big buy of figures from a local toy store. 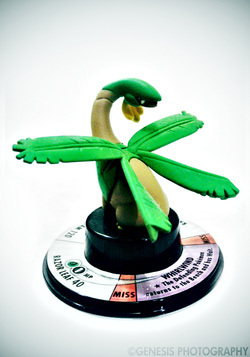 Notes : Tropius was bought from togoboldly of PKMNCollectors together with Lt. Surge. The second purchase I made in the community. 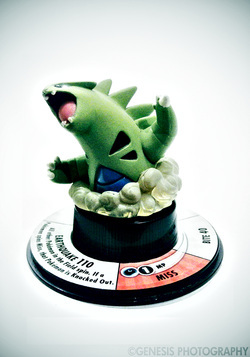 Notes : At first I thought Tyranitar was one of the rarer Mystery figures because well, it's Tyranitar. 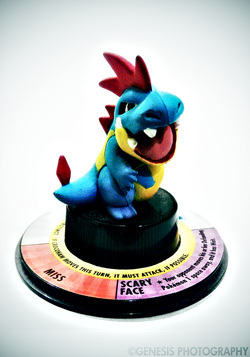 But actually it is very common and almost every set of figures being sold in the stores has Tyranitar in it. Notes : Whismur is another lucky buy when I visited some stores in the market. 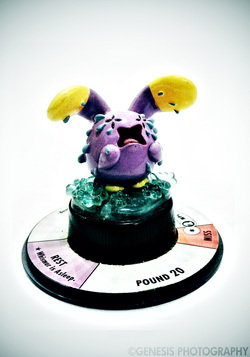 It belong to a set of other figures and I had to buy it to get Whismur. At first I thought that there's some dirt or damage in its ear but then realized upon closer inspection that it's a hole for its ear and is actually part of the design. 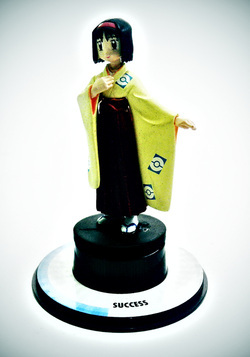 Notes : Erika is one of the sought after figures in this set. It is rather uncommon even here in the country. Though I managed to hold a successful auction with it as well as organizing some trades that helped acquire some of the rarer figures in this collection. Notes : Lt. Surge was bought from togoboldly of PKMNCollectors together with Tropius. The second purchase I made in the community. Notes : Sean is one of the latest figures I received from the third set. It was bought from eBay from a lot of TFG figures. I'm thankful the seller allowed me to buy only the figures I needed. Notes : I was quite disappointed that the trainers of this set are still just recolor of the earlier trainers. But that was to be expected. 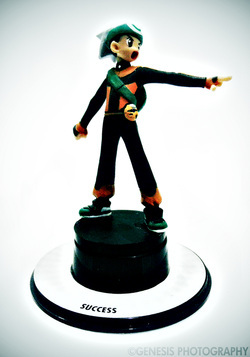 Although it would have been great if there were also figures of the females trainers in the games. 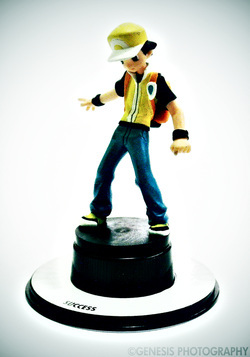 Yellow was part of the first big buy of third set trading figures.